MERCEDES — Construction of a major toll road project may have hit a bump after bids came in over budget, requiring further negotiations. The bids are for a 12-mile project of the 365 Tollway that will run from the Pharr–Reynosa International Bridge to the Anzalduas International Bridge to the west before ending at Farm-to-Market Road 1016 near Madero. 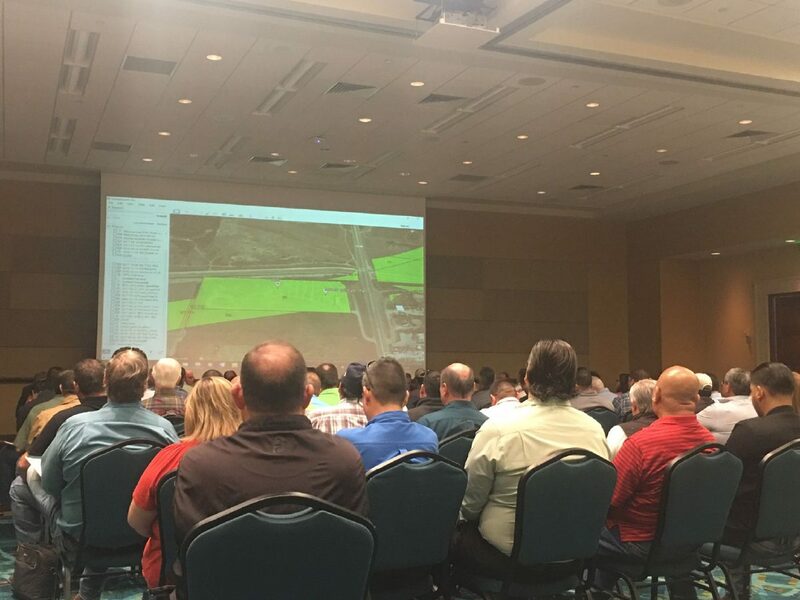 Eric Davila, the chief development engineer for the Hidalgo County Regional Mobility Authority, presented an update on the project Wednesday to the Citizen’s Forum of the U.S. International Boundary and Water Commission. He explained that the next step will be to either negotiate with the contractor to bring down the cost of construction or re-bid the project. The lowest bidder at $202,548,591.57 was Johnson Bros Corp. which is part of Southland Holdings, a construction firm based in Texas. The project is laid out in three segments. Segment 3, the shortest, has already been completed. “It’s, right now, going through the final checklist to accept the project as done,” Davila said. Construction has yet to begin on Segments 1 and 2. 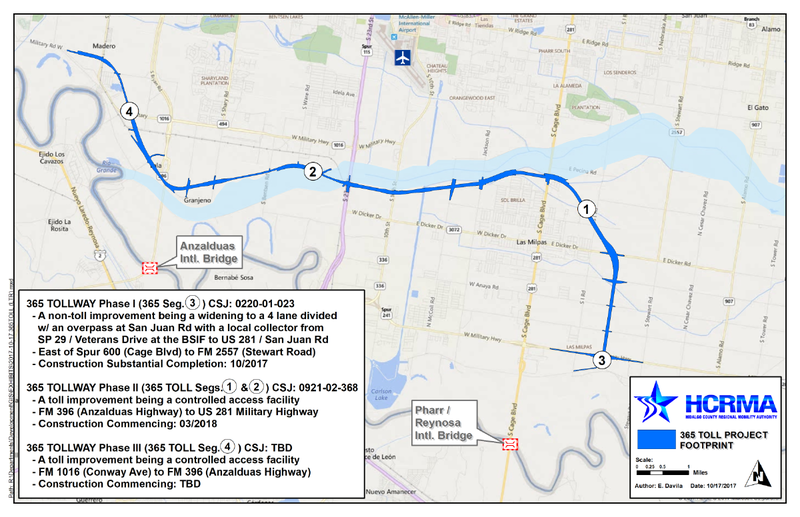 After the 365 Tollway project is completed, the RMA will begin work on the International Bridge Trade Corridor which will run east toward the Weslaco/Donna area and then connect to Interstate 2/U.S. Expressway 83.